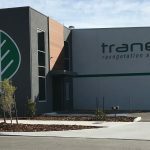 We’ve now consolidated our three previous Perth premises into the one, we’re the first to open in the new Tonkin Highway Industrial Estate. Unfortunately our NBN connection has been delayed, so please bear with us if our communications are less than perfect for a short while. Our phone number remains unchanged, but we no longer have a fax. And also our address at 11 Vincent Street, Bayswater WA 6053 can be difficult to locate on some mapping apps – please call us if you would like assistance in finding us.